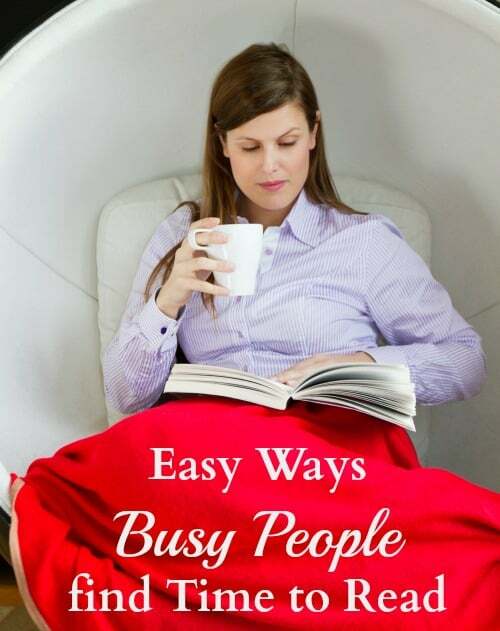 Find Time to Read: Easy Ways even Busy People can Do it! You are here: Home / Lifestyle / Life Hacks / Find Time to Read: Easy Ways even Busy People can Do it! I have always been a huge bookworm since I learned how to read. Since becoming a mom, I have found it more difficult to find time to read an entire book. I used to read 2-3 books a month before I had kids but I realized that when my daughter was 2, I hadn’t read an entire book in 2 years! Post contains affiliate links. I will earn a small commission at no extra cost to use if you make a purchase. I missed it so much so I decided to find time to read in my busy schedule so that I could get back to learning new things and to keep my mind active. It is so important to take time for yourself and to read for pleasure. It is great for your mental health and since I found time to exercise physically, I needed to exercise my brain as well. 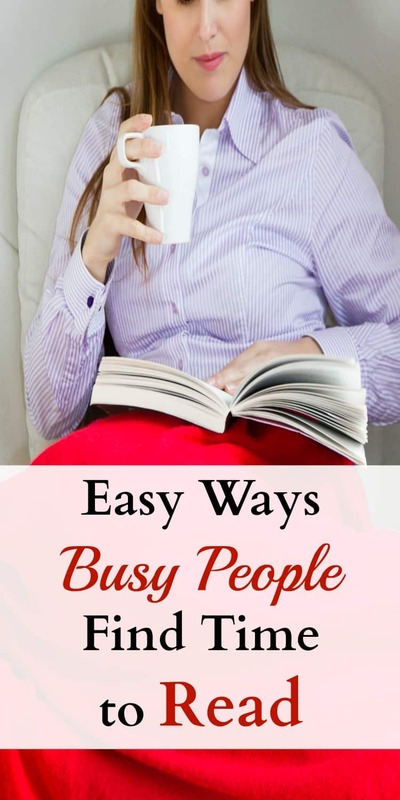 Here are a few easy ways that even busy people can find time to read every single day! One of the easiest ways you can find time to read is to use all of the downtime you have throughout the day that you may not realize. I always like to take a book with me when I leave the house. You can read while waiting for a doctor or dentist appointment, in the car line, or during your child’s sport practice. Those small chunks of time really add up and you can finish a book before you know it! I will also read while my daughter is taking a bath. I sit beside the tub while she plays with her tub toys and I can easily finish a chapter by the time she is ready to get out. When I was working, I would also take a book or magazine to read during my lunch break. I would read while I had my lunch and it was a good way to get rid of some stress during a chaotic workday. I like using my ereader to store all of my books since it doesn’t take up a lot of room in my purse. This was a big help when I started reading the A Song of Ice and Fire series….those books are huge! I do love watching TV but I noticed that I was watching about 2 hours a night once my daughter was finally asleep. I decided to only watch an hour a night instead…I still have to stay caught up on my favorite shows! For the other hour or 30 minutes, I will read instead. I personally like reading before I head to bed because it is relaxing and can actually help me to fall asleep easier. Every morning I make a to do list of things I want to get accomplished for the day. I always make sure to pencil in some time for reading. When you actually schedule 10-20 minutes of your day for reading, you are more likely to stick to it. I will read for a few minutes when my daughter watches a movie or takes a nap. It’s perfect to do when she is having quiet time. Audiobooks are perfect for people who are really short on time. You can still expand your mind and learn new things while you are commuting, going for a walk, or cleaning the house. I like using Audible to get some great new audiobooks. You can get 2 free audiobooks when you sign up for a free 30 day trail, and you can keep the books even if you decide to cancel your membership after the free trial is over. So it’s really a no-brainer! No matter how busy you are, there are easy ways you can find time to read and take some time for yourself. Use one or all of these methods to fit some reading time into your schedule. You will also be setting a good example for your kids. When they see how much you like to read, it will encourage them to do so as well!